It’s that time of year. Time to start thinking about holiday shopping. We know you want something unique, high quality, and something that doesn’t feel like you grabbed it last-minute (even if you did!). Don’t worry; we’ve got you covered! The vision behind American Forge South was to create a collection of home goods for quality-driven shoppers who enjoy the good life. Everything is solid steel and forged right here in our shop in Atlanta, Georgia. Everything is unpainted and unbreakable. We are making heirlooms that will serve our customers for generations. We want the gift you give today to be something that will never break or go out of style. The Oyster Knife is the newest addition to the AFS collection. Inspired by summer evenings on the beach, the knife can be personalized with up to 3 initials and is the perfect gift for someone whose happy place is the shore. The AFS Belt Buckle makes a statement. It’s bold, heavy, and solid. 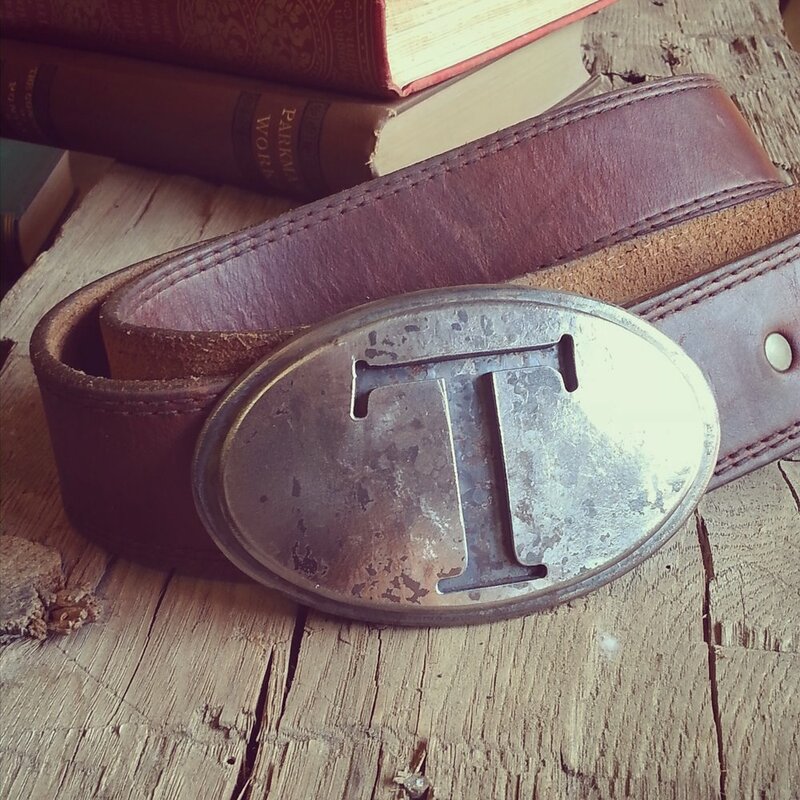 Paired with a handmade leather belt, this piece will never go out of style because it was never “in” style. It’s perfect for that person in your life with a big heart and a bigger personality. The Matchbox is the right gift for a kitchen - or a cook! - that you love. A thoughtful gift for a mountain home, place at the lake, or beach cottage, it fits over a standard large size box of kitchen matches. The finish is brushed steel and the plate can be customized with up to 3 letters. The Letter Opener is perfect for that person in your life who always sends hand-written notes and enjoys the ritual of correspondence. Crafted from a forged steel lag bolt, it’s a beautiful desktop piece that makes even the mundane task of opening mail a little more special. Stomping around outdoors is one of the pleasures of getting away from it all. But bringing the grit and mud inside the house? Not so much. The Boot Scraper can be bolted to the floor to live in your mudroom for years to come. 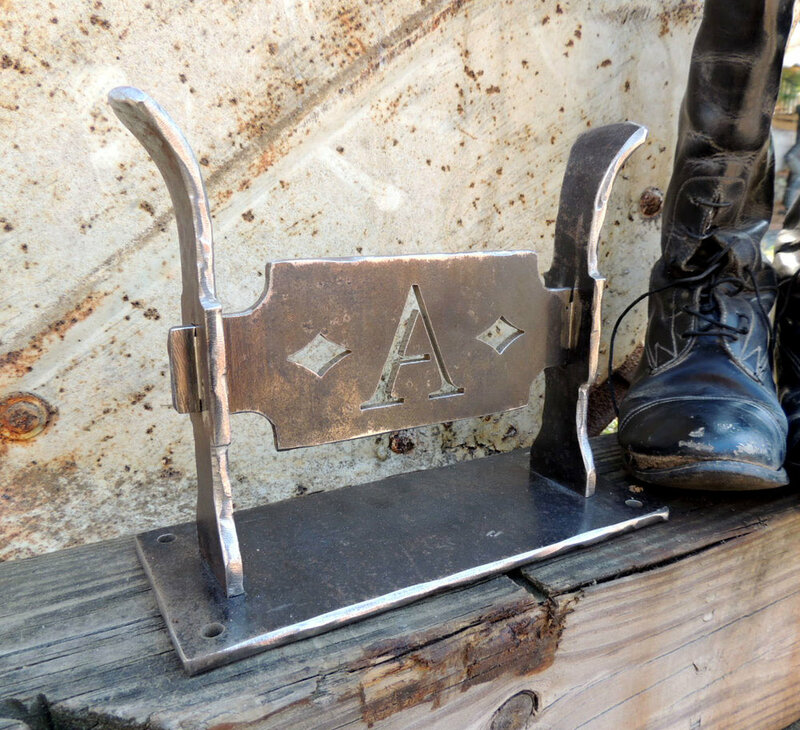 A substantial 9"x 8"x 4", the boot scraper can be customized with any letter. 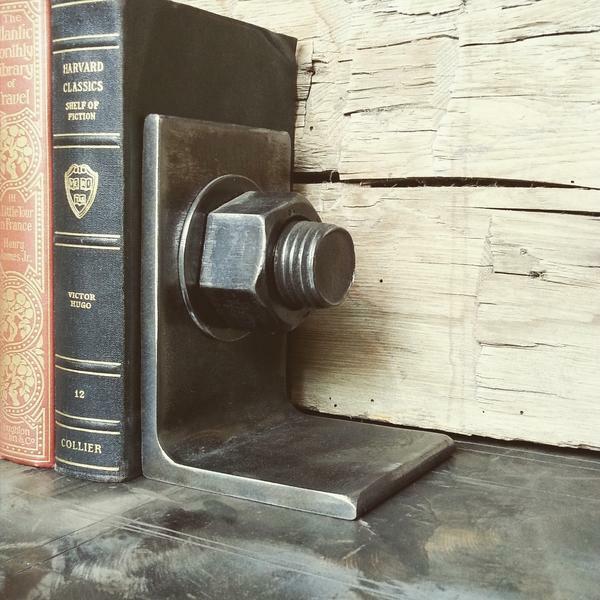 Totally unique Book Ends highlight their favorite volumes and add style to any bookshelf. These come in two designs - the Pistol and the Bolt - for the readers in your life. We all know someone who prefers the company of their dogs over their people (maybe you're one?) so we created our Leash Hooks in a couple different styles. We make one with a paw print or an initial, and we make one that can be customized with up to five letters. A foolproof gift for any dog lover. 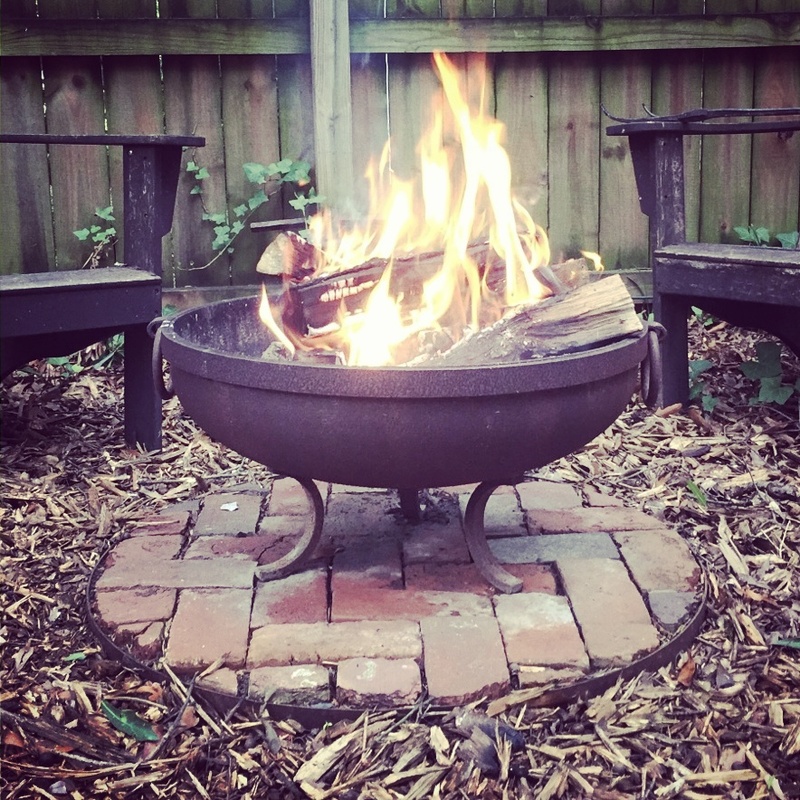 The Fire Pits we create are inspired by the great American tradition of sitting around the fire, chewing the fat, and solving all the problems of the day. The Smooth Fire Pit measures 24" x 13", is made from heavy gauge steel and has forged ring handles and a natural finish. The Star Fire Pit is slightly larger at 31" x 16". A fire pit paired with the Oyster Knife could get you a permanent spot on the Oyster Roast invite list. Our fire tools pair beautifully with either fire pit. Our basic Fire Poker is made of solid steel with a forked end and ring handle. Surface hand worked with rugged texture and natural finish. And then there's The Wrangler. The Wrangler is forged from 1/2" rebar and is for badasses only. The Bottle Opener is where it all started. Our hand forged bottle opener is the perfect gift for everyone: solid, handmade, unbreakable, infinitely useful, and extremely personal. While we typically make them with a single cut initial, we have also created openers featuring custom designs. These make really unique gifts for groomsmen, fraternity brothers, coworkers, and friends. Scroll through the gallery! Give us a call at the Ironworks and let us help you choose just the right gift for everyone on your list! Carl and Susan Bolch have been loyal and generous clients for almost 20 years. In the time we have worked together, they have commissioned railings, gates, doors, and fire place screens. They have never asked me to design anything average. They have never asked me to shy away from my initial ideas and inspirations. As a result, I feel that the work I have done for them over the years is not only the finest in my own portfolio, but some of the most thoughtful and well crafted ironwork I have ever seen. Carl and Susan's enthusiasm and attention to each individual project is inspiring as a craftsman and a designer. They are able to impose expectations and encourage quality without being overbearing. Their financial and personal success, while impressive, is always overshadowed by their kindness, their patience and their genuine spirit. When I was approached by RaceTrac, Carl and Susan’s family business, to produce a sculpture to celebrate Carl's tenure at RaceTrac, I was both honored and intimidated. After a few meetings, we arrived at a final design direction. 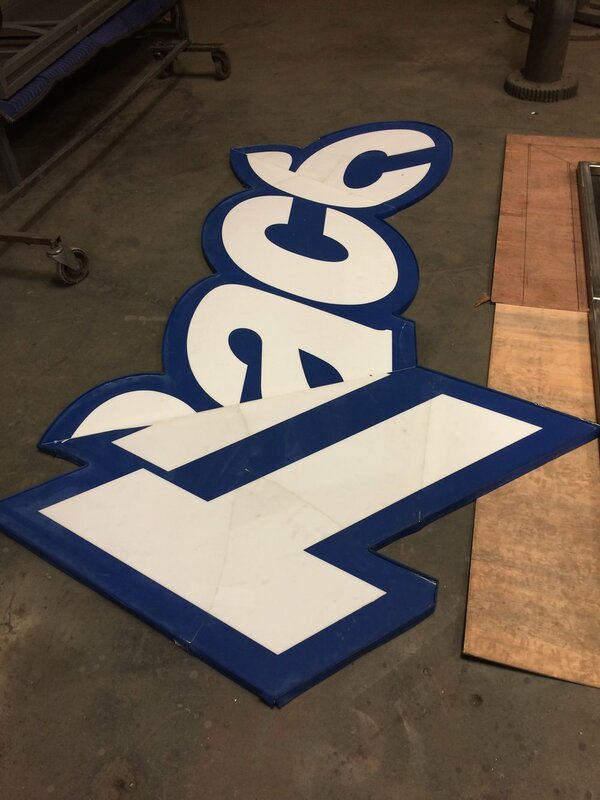 We agreed that I would use an existing, salvaged RaceTrac sign from a station that was being renovated, and build a sculpture out of it. I explained to Susan that I really didn't know what I was doing. Her response was familiar: "I'm sure you'll figure it out"
Working with unfamiliar materials, we proceeded cautiously, worked as a group, and did our best to be thorough and careful at every stage of the project. The sign had been run over on the construction site. So, in order to use it accurately, we first had to repair it. In some ways, this was more challenging than fabricating the actual sculpture. Once we gained momentum, we were able to incorporate the existing aluminum backing with newly fabricated corners and clips to add strength and security to the shapes. The plastic sign face was secured to the aluminum backing exactly the same way it was originally done when it was a sign. Lastly, a steel armature was fabricated to carry the entire sculpture and securely fit it to the base. On installation day, there were no surprises. The scale of the sculpture was perfect. While commanding its own presence, it is not overbearing. With a backdrop of dark green magnolias, the primary blue, white, and red elements appear crisp and intentional. I can only hope that the sculpture will stand for generations to remind the Bolch family of Carl's vision, commitment, and individual thought. I know that it has special meaning to me. It is representative of the generosity and artistic encouragement the Bolchs have offered me through the years. Even though we think of summer as a time to kick back and take it easy, the truth is that once you’re a parent and business owner, summer is as busy as any other time of the year. Most of us spend a lot of time just getting things done and it’s hard to be creative when you’re ticking off items on your to-do list. But when we ignore that creative impulse for too long, we can begin to feel a kind of restlessness. A kind of disconnection. So when I recently felt the urge to create something, it felt like something I was compelled to do. Not because I needed to in the “to do list” way. But in the way that you sometimes feel like you need to go for a run. There are certain things that I do to make sure I’m ready when the creative urge gets really persistent and can’t be ignored. For example, I intentionally keep certain objects around me. I have buckets of junk. Scraps everywhere. I keep these things around me so that I can use them to respond to an impulse to create. I allow the objects to become integrated in the final product. I can make a circle out of wrenches, scraps of metal, shovels, nails, shovels - it doesn’t matter. They are transformed by the joining into something new. It comes down to the difference between intuitive and calculated work. A project like “Pick” was drawn, conceived, designed, and then refined in several very intentional stages. In other words, it was calculated. The other kind of work - the intuitive work - is welding hammers together, maybe smashing it all up, and molding it again. Playing around with it and seeing where the creative impulse leads. It’s the difference between improv and learning lines. The difference between stream of consciousness writing and a carefully edited piece. The raw work always has something in it that you can respond to. If you want to leverage the experience, you have to be disciplined enough to go back and look at it again and make changes based on a critical look at the work, after you’ve allowed creativity free rein. I created this new sculpture because creativity demanded it. It felt good to reconnect with creativity and to do something outside what I normally do. I’ve learned that if too much time passes between these creative bursts that we allow to run free, it becomes more difficult to summon up the urge. As a professional who depends on creativity, I've learned that inspiration is something that I need to seek out, search for, and grab when it's available. If you want to wait for inspiration to randomly hit you like a bolt of lightning, pull up a chair. Creating something for no other reason than to see where it goes is a great exercise. All of us need that reconnection with our imagination. Listen for that signal, and when you hear it, create the space to act on it. Allow yourself the freedom to be creative and then have the discipline to look at it critically. As you look around this site, you may notice a link to our retail shop, American Forge South. Though it started with Andrew making a bottle opener for fun, it has grown to be a small but special collection of heirloom gifts and homewares. The idea for American Forge South was conceived in 2010 and it officially debuted in 2011 with the hand-forged bottle opener. The opener was featured in Garden & Gun's holiday guide that year. After enjoying overwhelming success with this first product, Andrew returned to the drawing board to design the products that would become the American Forge South collection. The mission of American Forge South is to create objects out of real materials for quality-driven customers who enjoy the good life. The entire product line is a departure from the Ironworks' usual array of high end gates, custom furniture, and one of a kind sculpture. All of our products are forged in our Atlanta shop. Everything is solid steel. Nothing is painted and nothing will break. We're making heirlooms that will serve our customers for generations. The only way you'll ever need to replace something is if you lose it or give it away. We believe people want high-quality, handmade American goods. So we create these accessories for the home, camp, and vacation home to enhance the recreational experience and share our love of hanging out around the fire, which we think is time well wasted. Our newest project is an oyster knife. It makes the perfect gift for the salt water bivalve lovers in your life and can be customized with up to three initials. Speaking of customizing, we recently created these bottle openers for a Texas groom as gifts for his crew of Texas groomsmen. We can make a dog leash hook with a basic paw print, or we can make it just for your very own Rex. Or Fido. Or Dude. We invite you to take a look around the shop. Have a product idea? Share it with us using the contact form or dropping us an email! Creating a memorial to Richard J. Pope for the Pope Family Garden at North Georgia Medical Center. Why Not Build A Boat? In the spring of 2016 Andrew Crawford set out to build a 25-foot aluminum trawler. 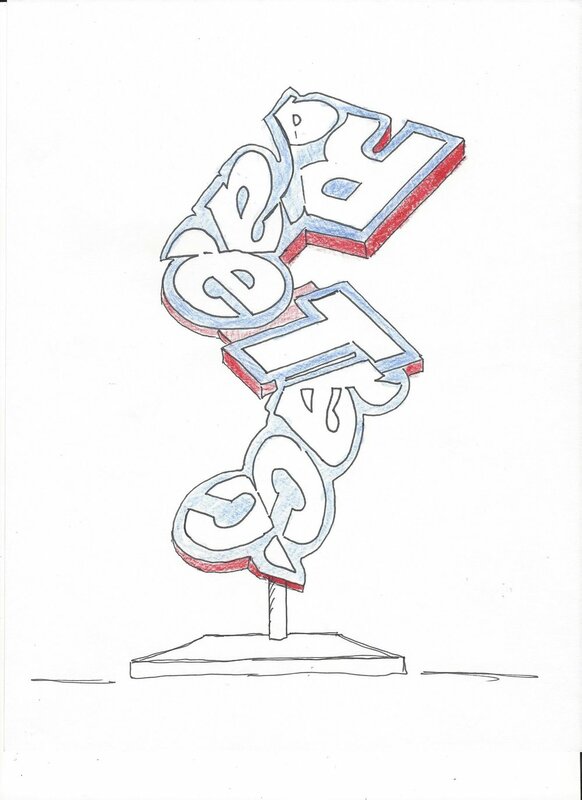 Below is the first sketch of what was then just an idea. Stick around to see the progress and the eventual launch!